Cooking in the outdoors is easier when you have the right tools. Camp Chef's The 5 piece all-purpose chef's set keeps the most commonly used utensils organized and ready to go all in a convenient carry case. Great for camp, RV, tailgating, and home. Cooking in the outdoors is easier when you have the right tools. 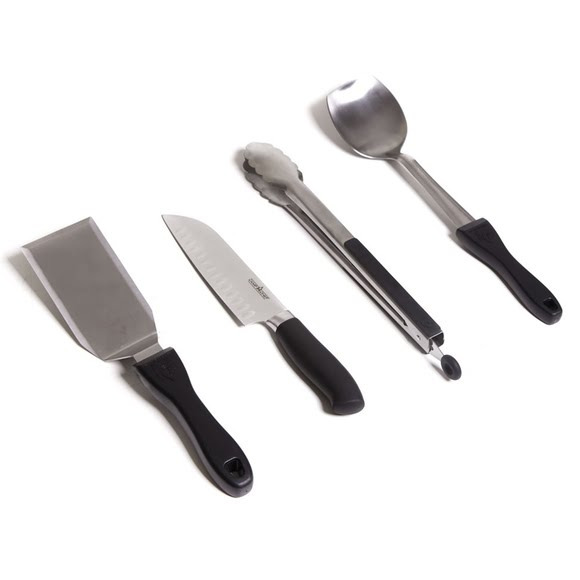 Camp Chef&apos;s The 5 piece all-purpose chef&apos;s set keeps the most commonly used utensils organized and ready to go all in a convenient carry case. Great for camp, RV, tailgating, and home.